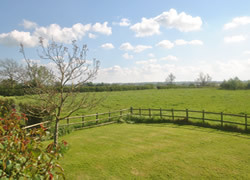 Sunny south facing patio and garden with far reaching views over farmland. 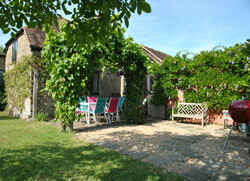 Courtyard Barn at Lois Farm is perfect for holidays with your family or friends. 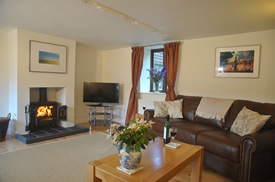 If you are looking for relaxation and tranquillity in a peaceful rural setting overlooking farmland with lovely views this barn is for you. 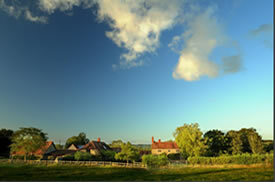 Situated in the beautiful Blackmore Vale on the border of Somerset and Dorset there are many well-known places to visit close by for all ages. 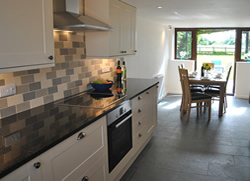 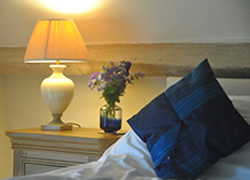 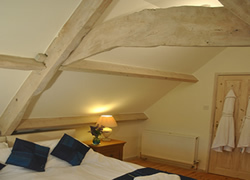 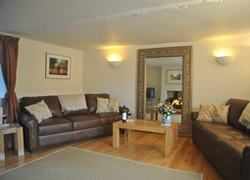 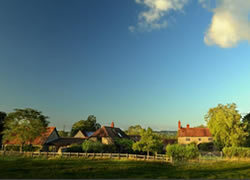 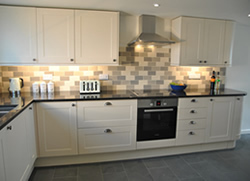 This beautifully furnished barn with a 5 star award from VisitEngland will sleep 6 plus cots in three double bedrooms. 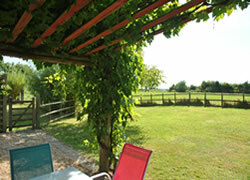 The lovely south facing garden overlooking fields is ideal for al-fresco dining and relaxing in the sunshine. 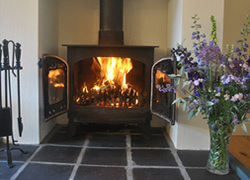 In the winter the wood burner makes the living room a warm and cosy place to be. 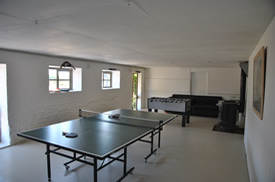 Large games room with table tennis and table football.